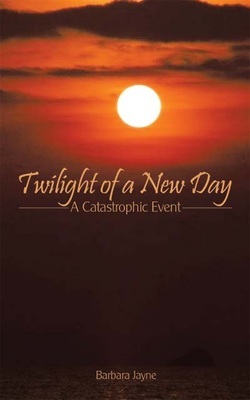 Twilight of a New Day: A Catastrophic Event. This book’s topic will certainly be of interest to you. This is a new era and we are experiencing it for the first time. It will be complicated and trying at times. It will bring with it adventure and a true test of fortitude and emotional strength. This past year has lent itself to many changes and those have brought both gladness and disappointment. We as a nation have been through much and it is at this time that we must stay together. There was a day not long ago when we could walk alone and be happy there. Today is different and so will every day after this one. We are building as we go. There will be direct and immediate changes that are out of our control. We will persevere, and be able to go on with more strength. It is a time of self sacrifice and those that hear this will know what I speak about. It is put in context so all who read it, will hear its words. It is the Twilight of a New Day for all, a Catastrophic Event that leads you to a place of peace, love, harmony and balance. There are many who have doubt, there are many who do not believe, and now is the time to look to events around you. This book speaks directly to its effects. includes peace, love, harmony and balance for all. It has been challenging and inspiring, a year in the making and channelled just for you. It's Author, Barbara Jayne has been humbled by this experience and thankful for the gifts received. There are many ways to conquer this book and many ways to interpret it. Barbara has taken the time to complete this work and allow it space to liberate and refine her world. Her wish is to see everyone receive the same gifts. Her mission is to bring this work to light for all to embrace. Authorhouse is a publisher who creates a path to your dreams and goals. They give you the freedom of choice and guidance to take your work into the physical form. For the person interested in this publisher you have my referral.